One-on-one personal instruction and practical training. Are you interested in a new exciting career in the beauty industry or looking to learn a new skill to add to an existing clientele? If you enjoy working with people and love the artistry of makeup, being a Permanent Makeup Artist might be the perfect career for you. 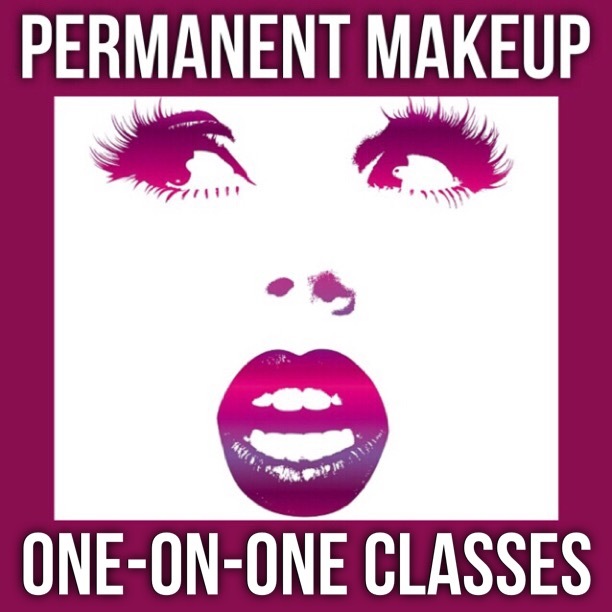 * Are you interested in learning Permanent Makeup? * If you already have a client base, why lose money sending your clients to other people for services that you could learn and provide? * Do you want or need some personal tutoring to advance your knowledge, boost your skill and confidence? Theory, sanitation, disinfection, sterilization, OSHA Regulations, blood borne pathogens, anatomy, physiology and histology of the skin. Facial shapes, brow shapes, eye shapes, lip shapes. Numbing agents. Color theory. Pigments. Tools of the trade. Needle configurations. Supplies. Procedure set up. Insurance. Client history forms. Consultations. Permanent Makeup procedures for Full Lips, Lip Liner, Brows, Lash Enhancement and Eyeliner. - I am a Licensed Permanent Makeup Artist and Permanent Makeup Instructor with 20 YEARS of EXPERIENCE. - I am also a Licensed Aesthetician and Aesthetics Instructor with over 20 years experience. - I have been featured on KTVK Channel 3 'Your Life A to Z' TV speaking about Permanent Makeup techniques and procedures. - Previous Executive Permanent Makeup instructor at the Skin and Makeup Institute and post secondary classes at the Academy of Advanced Aesthetics & Permanent Cosmetics for approximately 5 years. - I have also traveled to help Permanent Makeup artists who wanted to improve their skill and technique on specific areas such as brows, full lips, eyeliner & scar camouflaging. Training classes are held in a comfortable setting at Wild At Heart Permanent Makeup and Skin Care Studio in Scottsdale. We work together at a pace that feels comfortable for you and suits your personal schedule. If you are traveling from out of town, as many students have, I can suggest very convenient and affordable hotel accommodations within a two minute walking distance from the class. Advance your skills or let this be the start of a very exciting future!!! 40 HOUR CLASS for students with previous training. 70 HOUR CLASS for beginners. Contact Penny at Wild At Heart Studio (480-231-8767) for more information.